If you follow me on Twitter, Instagram or have ever read this blog before - hey, if you even know me a LITTLE bit - you might know that I like to shop. 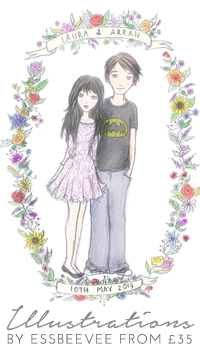 A little bit. Okay. A lot of bits. When I was doing Friday Frocks, I realised that the majority of my favourite dresses were bought in the sale. It made me realise just how much of a sale junkie I am. But, by golly, I AM. Not just with fashion - if I spot those magic yellow stickers in M&S, I'm in my element. Bargains are the BEST. Anyway. I have this thing I like to call 'Sale Watch'. It's a pretty simple concept - I see a dress, or something, that I rather like, but not so much at full price. Sooo... Sale Watch! I keep an eye on it and then when it goes into the sale... I pounce. Mwahaha. I get a bit of a rush out of sale shopping. Spotting an interesting colour or pattern in the rails, pulling it out, finding it's in your size... come on! What could be better! There's nothing like finding an AMAZING item of clothing for next to nothing. 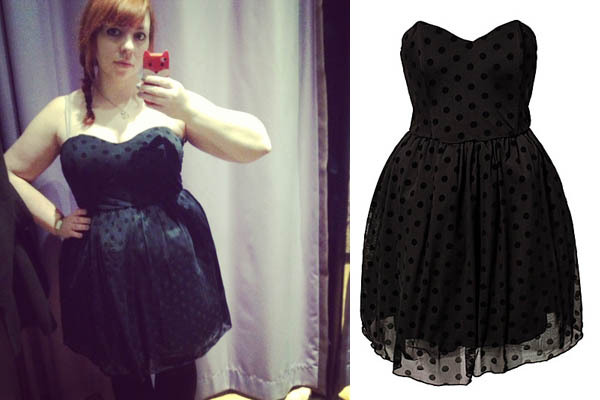 This adorable spotty prom dress from Rare at Topshop was reduced from £49 to just £10!! A TOTAL steal. I fell in love with this bright blue number from Monsoon. Originally £75, I picked it up for just £22.50. Can't wait to wear it to one of my many weddings this year! I think it would look beautiful with some gold sandals. 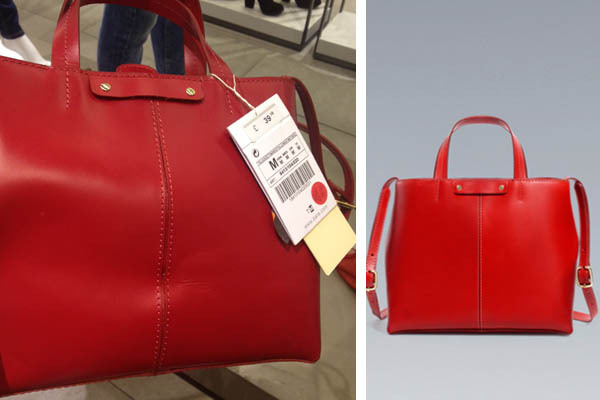 Lastly, this cute red bag from Zara was half price - £19.99, originally £39.99. AMAZING. My total spend? £52.50. Not bad work, huh? In fact, overall, I saved a whopping £111 on my sale bargains. ONE HUNDRED AND ELEVEN POUNDS. That's impressive, right? 1 - Wait a while. Often the best bargains are to be found a week or two after the start of the sales. 2 - Be patient. Go through every rail, even if they're organised by size - the amount of times I've found a size 8 in the 12 rail and vice versa! 3 - Know what you're looking for. Scope out the stores long before the sale starts, and if you like something, try it on. That way, if you see it in the sale, you'll know ahead of time if it fits or not. 4 - Be honest with yourself. If it doesn't QUITE fit now, are you going to commit to losing that half a stone to get into it, or is it a lost cause? 5 - Think of it as an investment piece, no matter how cheap it is. Those blue shoes are gorgeous, but do they actually go with anything in your wardrobe? No? Then they're not worth it. 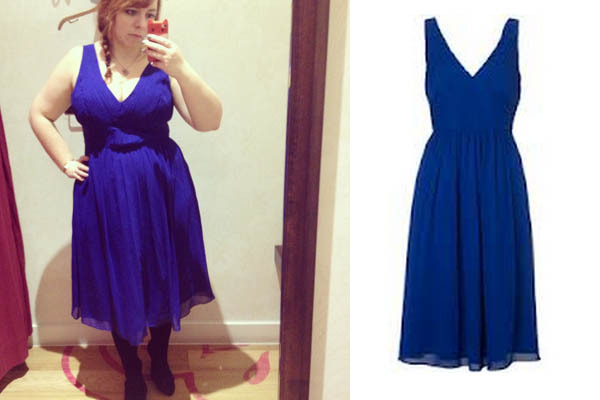 Always have an event in mind when you buy something - for instance, I know the kinds of dresses I like to wear at weddings, so almost always snap them up in the January sales when good quality dresses are usually available for Primark prices. 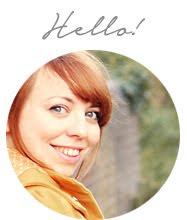 Back to Sale Watch - I just found out about this new website which I think might actually revolutionise it a little bit! My Stock Stalker is SUCH a frigging amazing idea. So, for every item I've coveted for months and managed to grab in the sales, there's another five that I've left too late and missed out on. My Stock Stalker should fix all that - basically, you enter in the item you're coveting and they'll watch it for you. The second the price drops, they let you know. AMAZING. I am going to be using the heck out of this site from now on. They are all such amazing finds! I am also a total sale shopper! I pretty much never buy anything full price. I must admit that I am guilty of the curse of picking up things just because they are my size even if i am not in love with them. I have started bookmarking stuff online and click on it every so often to see if its reduced yet. You found these dresses and that purse for that total? Lucky lady. You look gorgeous in both dresses and this shade of blue is so stunning on you. I love red accessories, I need to get a red purse. Thanks for introducing me to that site :D probably a dangerous move but oh well!! 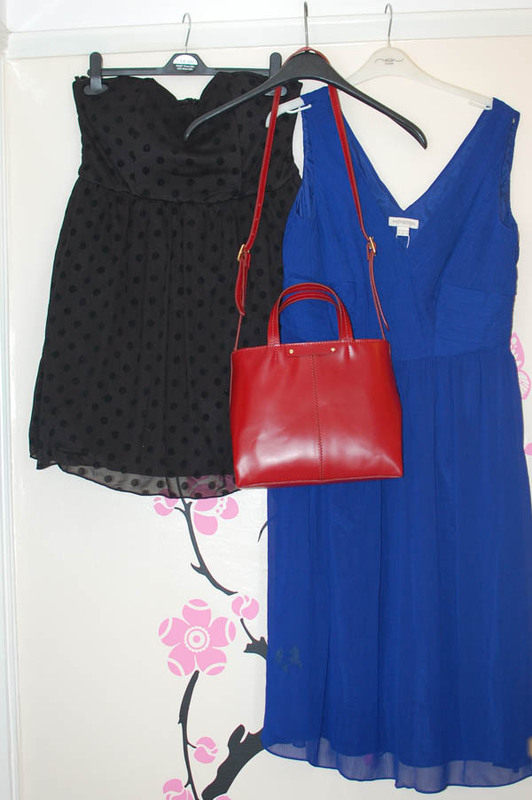 I cannot believe how great these bargains were, that blue dress is gorgeous!